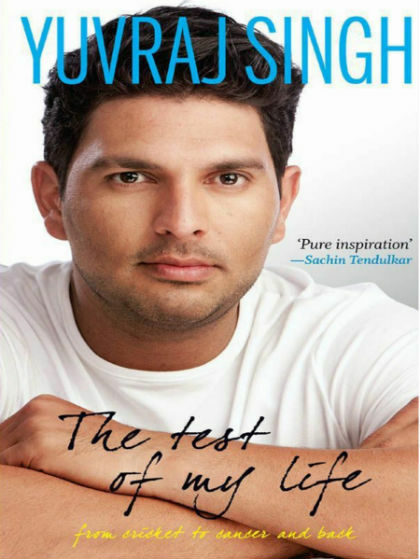 We did bought The Test of My Life: From Cricket to Cancer and Back a book written by ace cricketer from India – Yuvraj Singh, before many days. As we have completed it now let us share our unbiased views and reviews for the same with you all. Yuvraj Singh is known for many of his performances (in cricket) but best remembered for going full monty (hitting six sixes in an over); and of course being the player of the series for the second Cricket World Cup, India have won. He is inspirational figure for many for his cricketing skills without a doubt. Though, he became a role model for many for one other (and more important reason). He was diagnosed with Cancer. While infected (without knowing it) he played some of the best games of his life. And when detected the cancer, rather than just collapsing and waiting for the future to catch him; he battled it. He then took Chemotherapy and other needed treatment and recovered from it. Yes, still recovering from cancer is considered as a kind of miracle. And not only he have survived, he regained his fitness and started playing cricket again. He played in state level tournaments, 20-20 matches and even played international matches again. He is recently included into Team India once again. And yes, he recently got married too. It is worth to note that he has been awarded the Arjuna Award and the Padma Shri. What a remarkable and inspirational fight he gave to the cancer! He started reading the biography of Lance Armstrong, who survived from Cancer. But he was not able to finish it earlier. While, he was on the bad and he have plenty of time to kill (well, you cannot enjoy the time when you are having Chemo sessions) he have completed it. He found it inspirational. Ultimately his will power made him able to win the fight. He decided to write a book which show the glimpses of his life and how cancer caught him and made his life different than it was. He wanted to account this so someone can get inspiration from it and reinforce the belief that, cancer can be cured and you can live normal life then after. His book was launched by Sachin Tendulkar, one of the most respected cricketer of India, who himslfis considered as a living legend. Well, calling it the plot, may be something improper. And we cannot call it a story, as it explores the real life incidents. Let us call it the account of Yuraj’s life (main incidents) available in the form of a book. When my form came back, or when I picked up wickets, or when I got the big scores, or when I got player of the match, or hit six sixes, had I ever asked God, “why me?” Of course not. Often in my career, I have been the man with silver in the fist. Have I ever asked God, “why me?” No, never. Very true! It shows the height of the emotions, morals and ethics this guy have. Yuvraj was born on 19 December, 1981 in Punjab. His father Yograj Singh was a cricketer himself and have a very small international career. He blamed his career’s short span to rise of Kapil Dev. Well, everyone have his own perspective of the real life incidents happened in their lives. However, Yograj Singh was determined to have his son a remarkable career in Cricket. He was so determined for his vision that he have lead Yuvraj to a very disciplined and tough life since the childhood. Yuvraj himself have mentioned that his father was very strict and even compared him with Hitler. However that tough life made Yuvraj very strong and who knows it could have been what have helped him in building a fantastic career and conquer the Cancer. This book explores in detail a lot about cricket matches and if you are a cricket fan, you will find it an account of some remarkable cricket matches. Actually most of the initial part of the book is devoted to cricket, and why not?! Major part of Yuvraj’s life is cricket. When he was feeling very low physically and emotionally, Sachin gave him this advise. Play the tournament for someone you love or respect or for someone who is special and has played a huge role in your life. Play it for someone you think you owe something to. Make the World Cup part of that debt that you have to fulfil. Anger is a bad quality that all of us have in us but we need to keep it under check. Rule it before it rules us. I think it is two things: instinct and experience. I don’t know how to ride a cycle but I wanted to down one desperately. Cycles were shiny and cool. Cycles took you places and I wanted to have one to go anywhere I pleased. It is quite same for all of us right? The book is inspirational without a doubt. It is an autobiography and in that sense it remains true to its genre. We have often seen such books have some superlative stuff added. This book remains genuine at the content in that way. It explores the down to earth personality of Yuvraj. And the contribution of his quality upbringing (quality is not always associated with financial condition). If you got courage, morals and ethics implanted during the early age, you will eventually grow into a genuine human being – is reiterated in the book. In terms of literary aspects also, the book is good. Some of the examples of “written gems” is already included in this article, but there are many more. The co-authors have made it a good piece of literature. Yuvraj’s journey is explored in good way for sure. Even the forewords are worth reading. He made his international debut against Kenya and received the Man of the Tournament in the 2011 ICC Cricket World Cup. He was diagnosed with cancer in 2011 and after undergoing successful treatment, he returned to international cricket in the September of 2012. As mentioned in the book itself it is story about struggle, denial, acceptance, and new struggles ahead. Those who are not familiar with the game of cricket, may find many unfamiliar things in the book and they need to learn about them to understand it better. There are few spelling mistakes in the book. 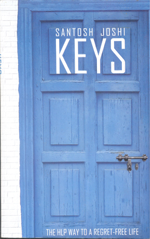 Overall a fantastic and inspirational book which is written nicely. The moments explored through photos at the end of the book is not to be missed.